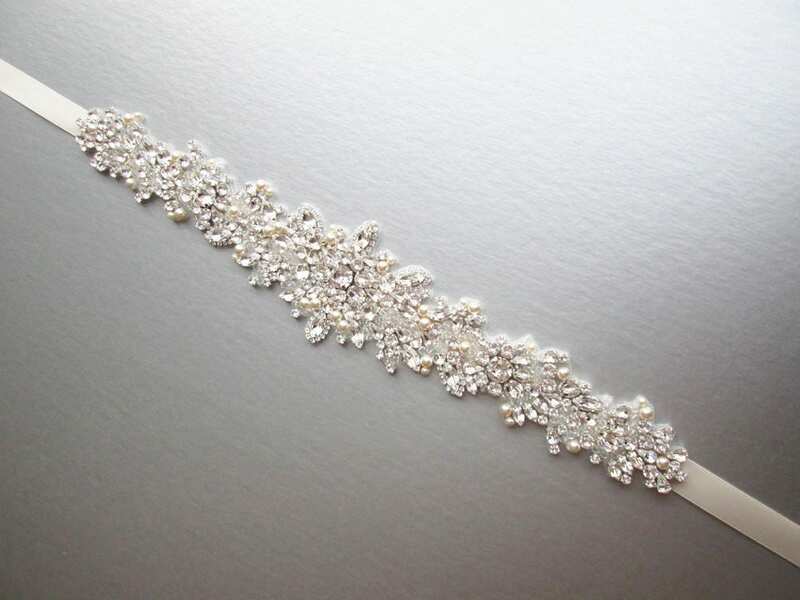 This exquisite bridal belt is made with fancy Swarovski crystals and pearls. 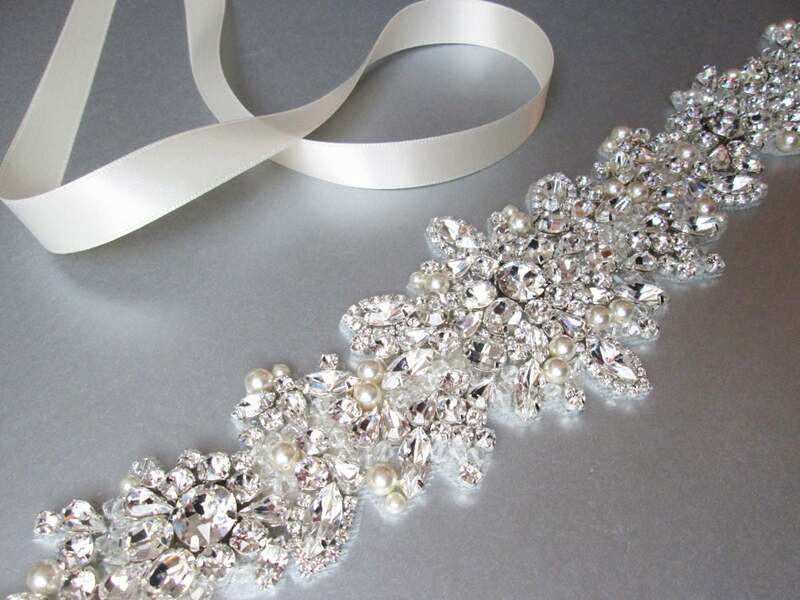 The crystal design measures 14" long and the center measures 2 1/2" wide. 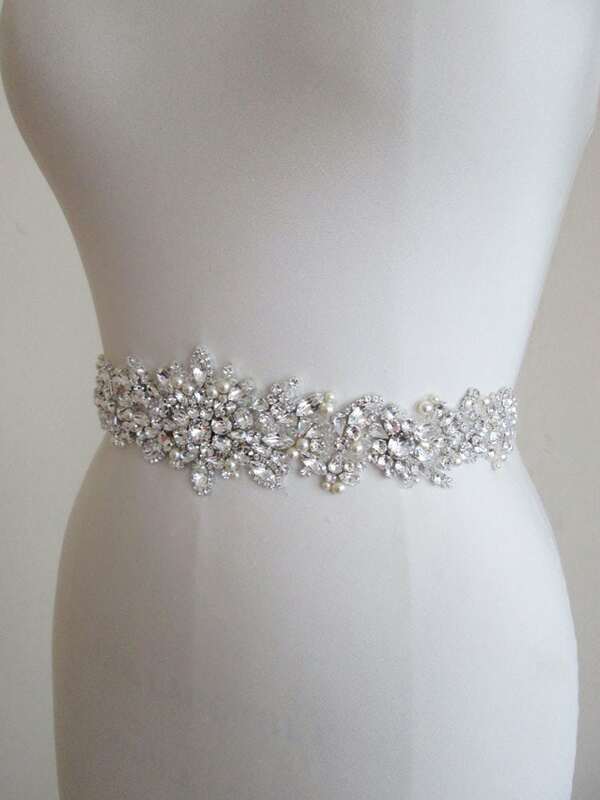 The entire sash measures 150" long. 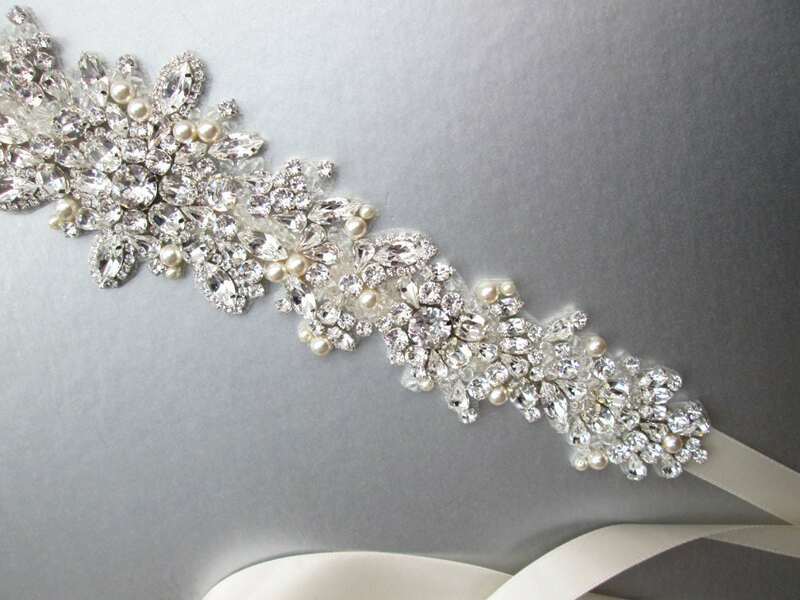 Shown in the photos with light ivory satin ribbon and with ivory #2 pearl. 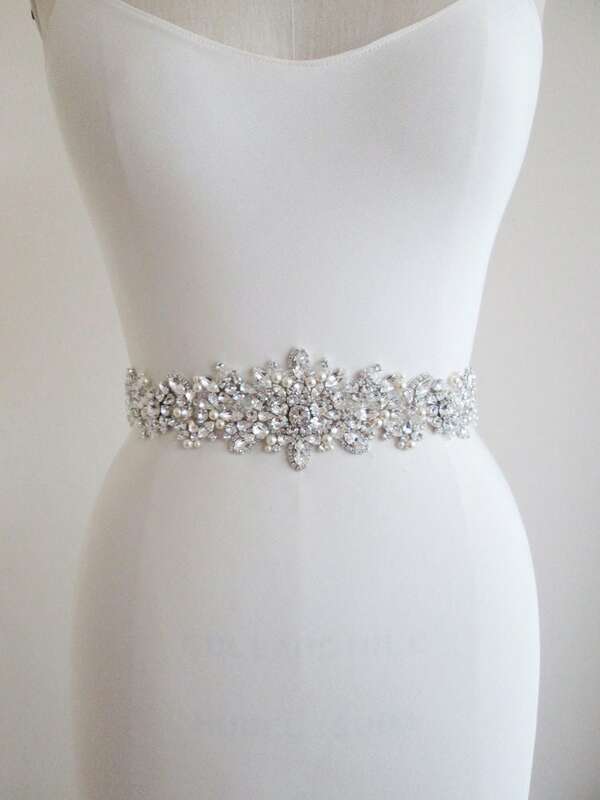 Available in gold, silver and rose gold finish.